In honor of our weekly Texas Hold ‘Em tournament at our bar and grill in Lakehills, The 4 Way Bar and Grill wants to offer a few poker-playing tips for the beginner poker player. Our tournament, every Wednesday at 7 p.m., is free to enter, and participants compete for a $100 prize! You have nothing to lose and $100 to gain, so get your poker face on down to The 4 Way Bar & Grill in Lakehills. Don’t bluff too much — if you bluff all the time, it’s like the kid who cried wolf. Build credibility and then save your bluffs for later. Think about your opponents’ cards — it’s not just about your hand. You want to be prepared to fold, especially if cards of the same suit are on the board and your opponent goes all in. They might just have a royal flush. Don’t overestimate suits — having cards of the same suit can pay off, but it’s really rare to get a flush. Instead of banking on getting cards of the same suit, learn to fold small suited cards. 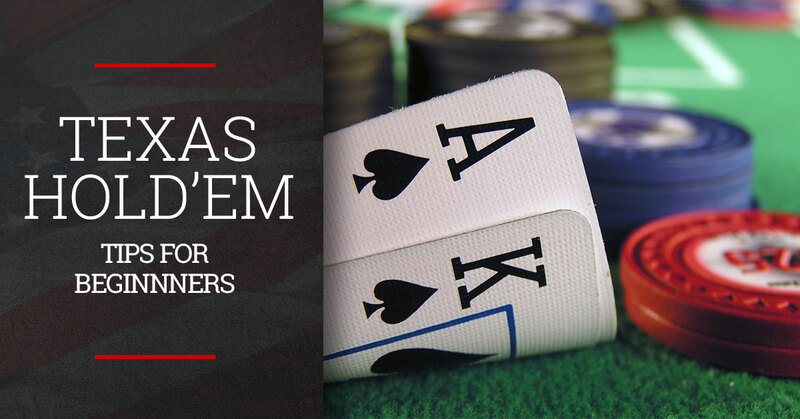 Brush up on the rules — there are tons of online resources where you can learn the overview of Texas Hold ‘Em, so check out those resources. Or, stop by The 4 Way Bar and Grill and watch a few rounds before you enter the next week. Drink a beer, or two — loosen up so you don’t overthink the whole thing. Luckily, we have a selection of beers on draught and in bottles for your enjoyment. In case you need a refresher, here are the winning poker hands from highest to lowest value. For instance, a Royal Flush will always win a hand. If one player shows a Full House and another has a Flush, the Full House would win the hand. After a few rounds, you’ll get the hang of the game! If not, you can enjoy the full menu of our restaurant and grill until 10 p.m. and take advantage of a full bar until midnight. If you want a satisfying and delicious meal, there’s no better joint than The 4 Wary Bar & Grill in Lakehills. Our menu features burgers, wings, steaks, salads, seafood, and sandwiches. There’s something for everyone — and there are pitchers of frozen margaritas. Check out our menu online, and stop by the bar and grill tonight for a meal and entertainment!